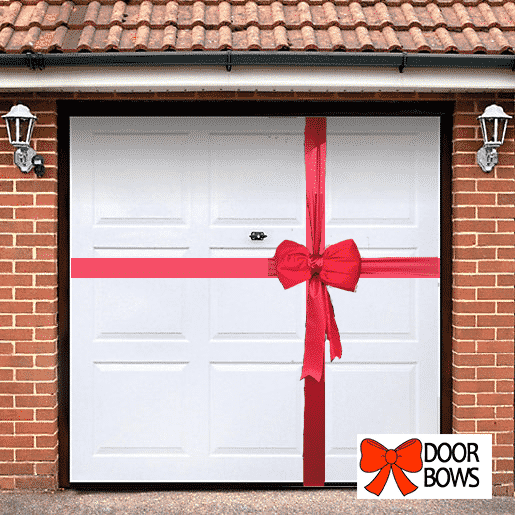 Red Garage Bow Decoration Kit available with next day delivery – decorate your garage door this Christmas with our beautiful Door Bow. Arrives ready to attach to your garage door, simple instructions are included and take typically less than 10 minutes. 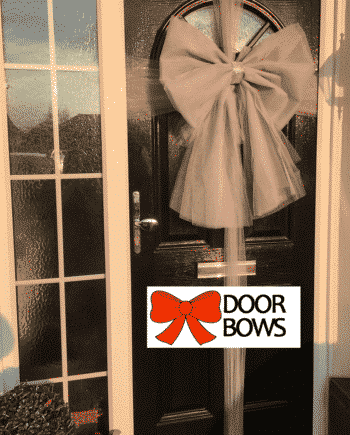 Our Beautiful Door Bow has been professionally designed to add festive elegance to your extra large front door, shop windows or garage. Perfect for making your entrance stand out this Christmas! Our in-house UK bow team hand make each garage door ensuring that each bow matches our custom design specification, giving you piece of mind that the bow you receive will look and perform great! The Garage Bow is approximately 60cm wide, and the wings are 50cm tall. 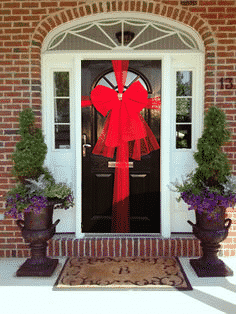 The big red garage bow adds the perfect finishing touch to your door decor. The garage door arrives ready to attach to your garage door; simple instructions are provided with this kit. 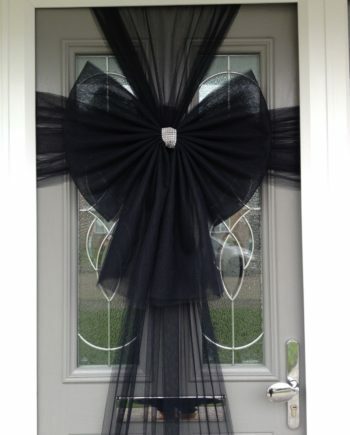 The bow can be attached off centre or offset on the garage door. Our big red bow is made of a colourfast silky satin, treated so suitable for short-term outdoor use. 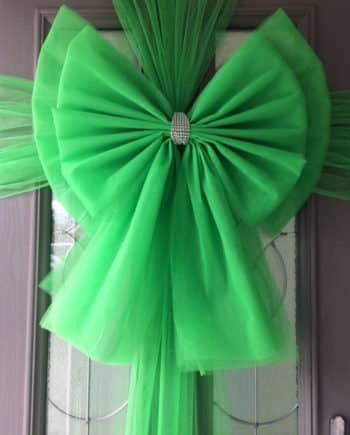 Many of our customers reported their BIG garage bows being in place for many months with no change to the quality and they have packed carefully to use again next year. Fitting instructions are sent with every order – more details can be read here.